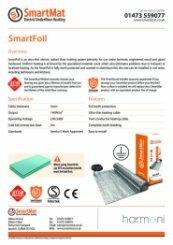 Please Note : SmartFoil Underfloor Heating Mat Products must be used with XPS Insulation Boards. SmartFoil is an ultra-thin electric radiant floor heating system primarily for use under laminate, engineered wood and glued hardwood. Uniform heating is achieved by the specialised materials used, which also eliminates problems due to hotspots or localised heating. This SmartFoil system is made with Fluoropolymer insulated heating cables. These are sandwiched between two layers of specially reinforced aluminium foil. The uniform spacing of the heating elements, further backed by the aluminium foil, ensures even heat distribution. The heating element is connected to a power-supply cable, which exits the laminate mat from one corner. The power lead is a flat thin two core flexible cord, consisting of two insulated conductors with a metal sheath and an outer sheath. 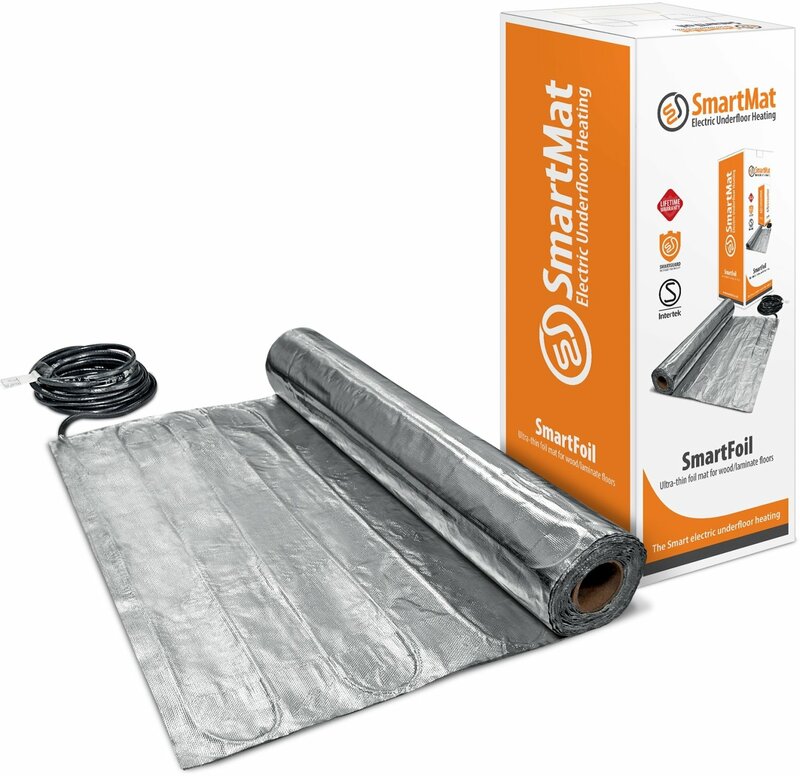 The SmartFoil heating mat is designed for installation directly under wood laminate, on top of insulation boards such as the XPS board. The minimum thickness of any covering material must be 5mm in accordance with IEC 60335-2-96 7.12.1 g.